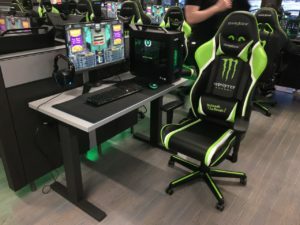 Durham College in Oshawa, Ontario has opened up an arena exclusively for online gaming! It’s a space where students, staff and the public can connect and play all types of online video games. The facility opened on April 3rd and has already seen over 1,000 people in a week’s span. 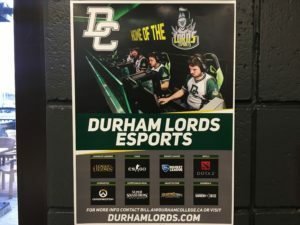 The arena is also home to Durham College’s varsity gaming team, the Durham Lords. The Lords play other universities and colleges across North America in online games like League of Legends, Super Smash Bros and more. The players enjoy the competition, the gaming community and scholarship incentives as prices! The Durham Lords have tryouts in September and have practices and tournaments until April. Sarah Wagg, an ESports Gaming Arena organizer says the league is very competitive and gives great opportunities to the players and others! Wagg says they’re planning to make a broadcasting station, so broadcasting and production students can cover events and elevate the gaming atmosphere. The sports management program will also be involved, with coaching positions available, that are paid by Durham College. The first 2 weeks are free for anyone to check out! Starting next week, it will be $3.75 per hour or $10 for 3 hours. There are private party packages as well, that can by bought for $117+tax, for 2 hours (10 people) with parking and security included! 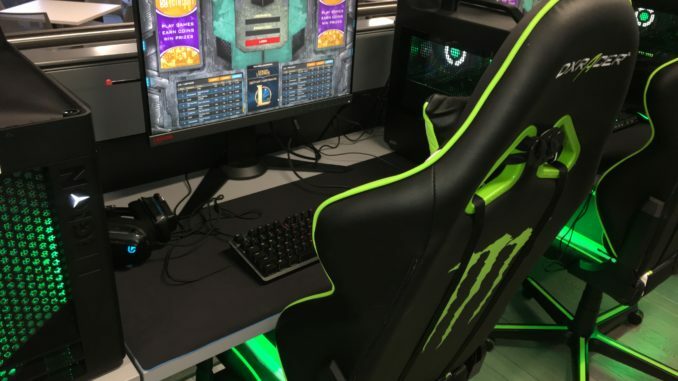 The ESports Gaming Arena has gain some attention from other Ontario universities and colleges that may consider making their own online gaming arena in the future.